These rating schedules give PIAL the ability to carefully evaluate properties to develop and publish fire insurance rates. The Uniform Grading Schedule (UGS) is used to specifically rate non-sprinklered properties that are not eligible for Class Rates. The schedule analyzes construction, occupancy, square footage, hazards, vertical openings, exposures from nearby properties, the ability of the fire department to access the property and other conditions. It also incorporates any applicable credits such as portable fire extinguishers and automatic fire alarm systems. The Automatic Sprinkler (AS) schedule is used to specifically rate properties that are equipped with automatic sprinkler systems. The schedule places the majority of its emphasis on the sprinkler system. The schedule analyzes water supply availability and requirements, unsprinklered areas, susceptibility to freezing, sprinkler obstructions, alarm systems, vertical openings, maintenance issues and draft conditions. The schedule also incorporates the same items for non-sprinklered properties such as construction, occupancy, etc. The PIAL sprinkler schedule is used to specifically rate buildings that are equipped with automatic sprinkler systems. This schedule places the majority of emphasis on the sprinkler system itself. Construction, occupancy, square footage, etc. receive less emphasis in the rate makeup. In order to receive credit for the sprinkler system and to be rated using our sprinkler schedule, we require: 1) Sprinkler plans and related information and, 2) Annual sprinkler test report. If these documents are not available, we rate the buildings as non-sprinklered with no credits for the sprinkler system. If over 20% of the areas requiring sprinkler protection are not protected, the building will not be rated as sprinklered. Our field representatives review the sprinkler system design data to determine that sprinkler systems are installed in accordance with the standards set forth by the National Fire Protection Association (N.F.P.A.). No central station alarm monitoring provided. Heat not provided to protect sprinkler pipes from freezing. No extra sprinkler heads and wrench provided. No data plate on sprinkler riser provided. Nearby buildings (exposures). The charges are based on distance, occupancy, construction and square footage. PIAL representatives can meet with insureds, architects and agents to discuss building construction details prior to buildings being built. 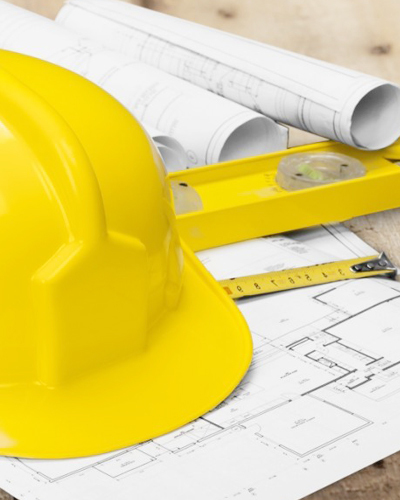 We can assist on construction details, fire walls, sprinkler systems, etc. to keep the property insurance rates as low as possible. Establish and update insurance rates for individual properties throughout the state. Review proposed building plans with recommendations to keep property insurance rates at a minimum. Review automatic sprinkler plans in order to apply applicable fire insurance credit. Provide estimated, tentative rates for proposed or unrated buildings.